How has your day been? 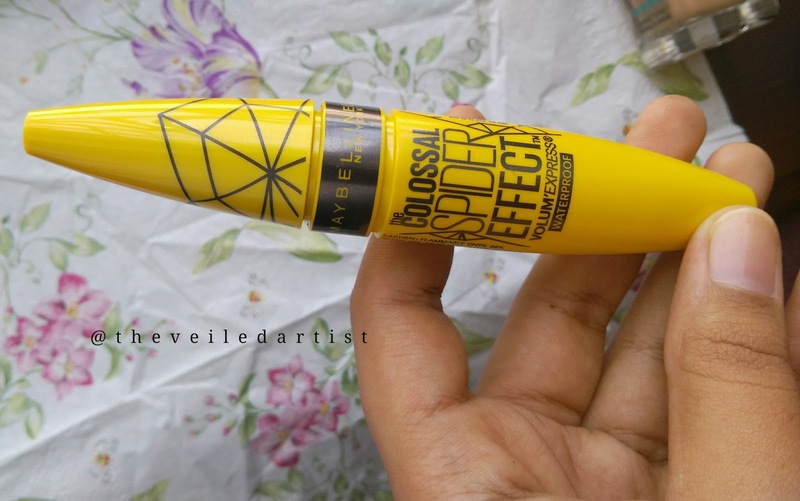 Today I will be reviewing the Maybelline Volume Express Colossal Spider Effect Waterproof Mascara. That. Is a loong name haha. It has been more than a MONTH since I did my last product review and that is because I was trying all these new products I got and reviewing them and suddenly, I ran out of new products to try haha! I didn't even see it coming. So I placed a few new orders and it usually takes about 3 weeks to a month to deliver products to Sri Lanka so I had to wait to get my hands on the products, then try them out and THEN review them for you guys! So anyways let's get started with the review! 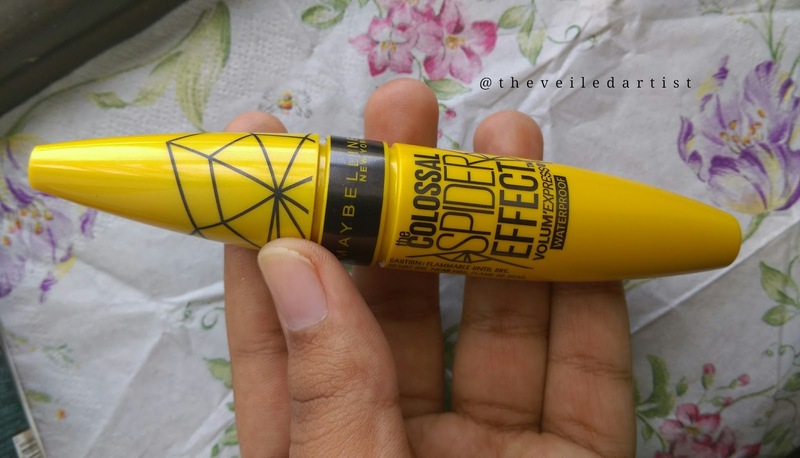 With new Colossal Spider Effect mascara, recreating the look of the moment no longer requires multiple steps and a bunch of tools. 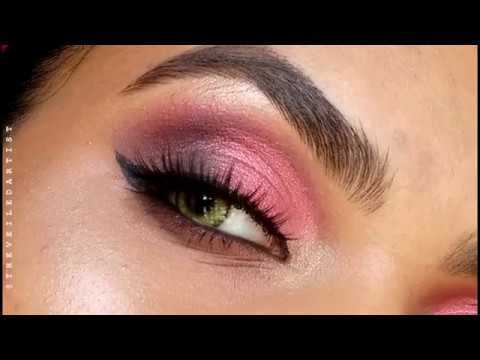 Get the look and open your eyes to the possibilities. The mascara costs $7 but I purchased it for $13 because I had to pay for shipping as well but you get a good 9.5mls of product. 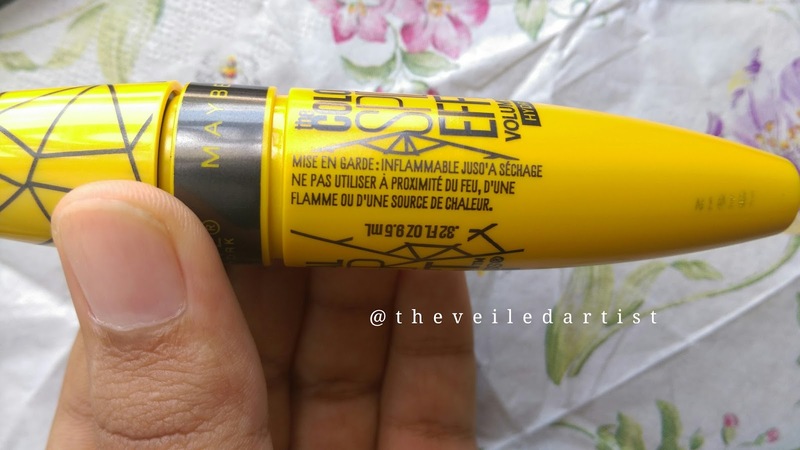 The tube packaging is pretty basic and like every other maybelline mascara packaging but the wand. Oh Lord! This might be one of the worst mascara wands I have ever had to work with. I feel like it's made of plastic or rubber. It has an odd cone shape and the bristles are thick and super short and this in turn applies way too much product, unevenly, even if you wipe the excess off on a tissue. So as you read above, I didn't love this mascara. It was recommended by one of my favorite beauty gurus on youtube whose videos I watch religiously and somehow it looks great on her. The formula of this mascara I feel is way too thick, wet and almost goopy. Once I try to work it into my lashes, it just makes all of my lashes stick together and before I know it, I have 6 eyelashes haha. It also dries insanely fast once applied. I might let the formula dry out a bit and purchase disposable spoolies and try applying it with that but you shouldn't have to do all that with a mascara when there are so many great affordable ones out in the market. 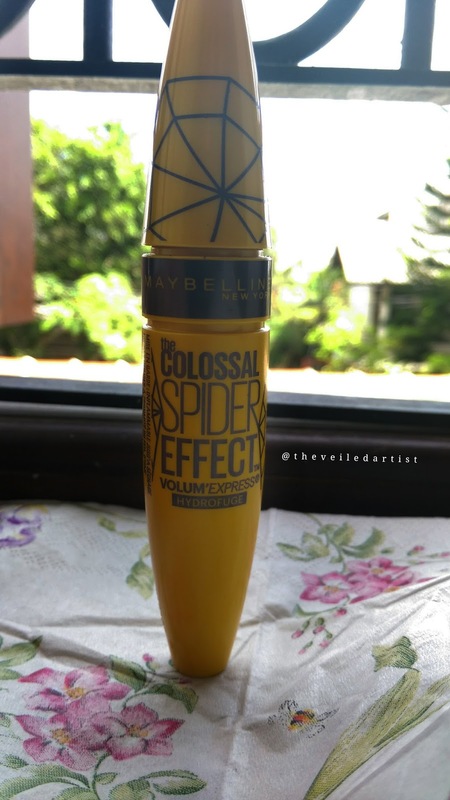 The maybelline colossal volume mascara, I LOVE! I initially used the waterproof version and when I ran out I got the washable formula, but both worked so great. 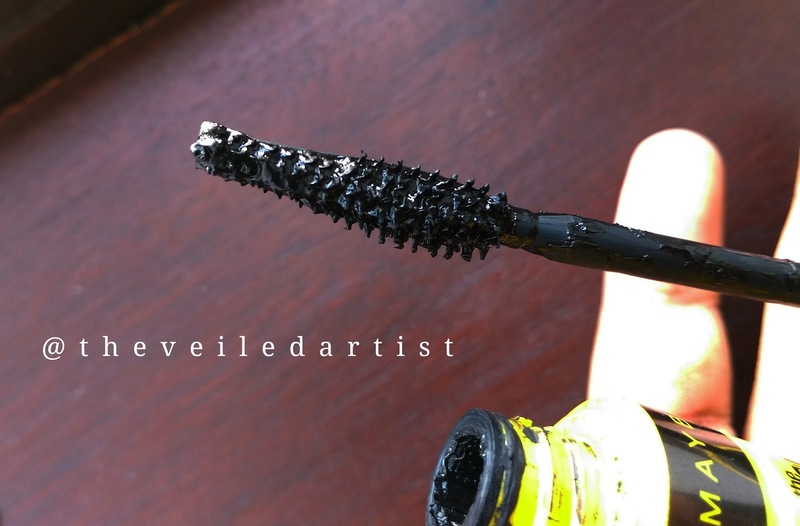 The brush is an actual brush with proper bristles that you can use to comb the product through your lashes and the formula is perfect as well. 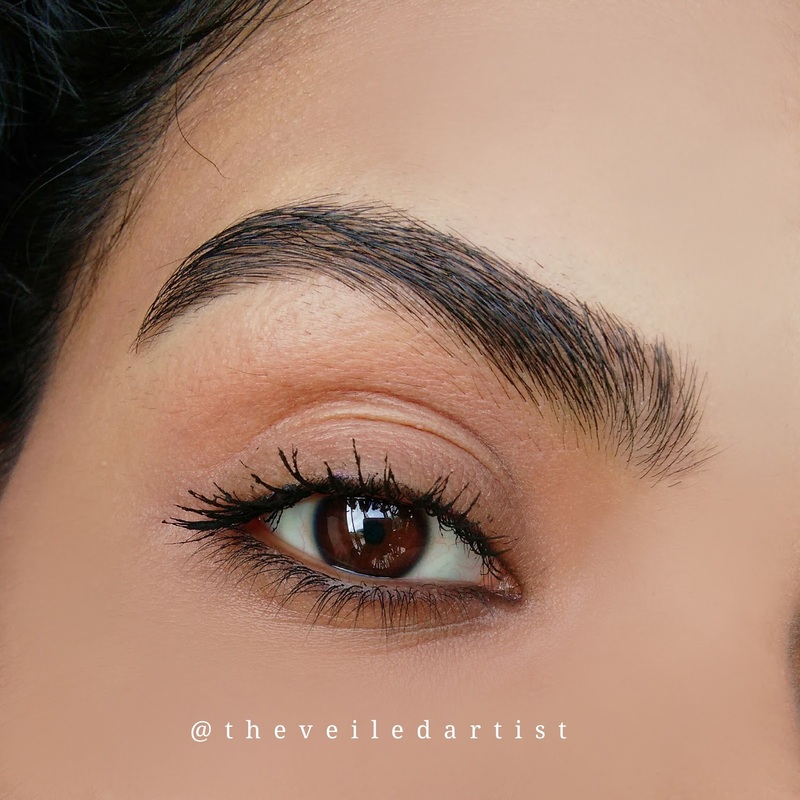 All that being said, I feel like this may work well for you if you have very short and sparse lashes or if you like the spidery or clumpy lash look(No judgement here, you do you!). That 'spider effect' part of the claim is just a little too true for me haha. Also the formula is a comfortable waterproof, it wasn't overly drying and I was able to remove it using my regular makeup wipe. I would only recommend this if you're into the clumpy lash look or if you have very short or very sparse lashes. If you have an average amount of eyelashes, this product will make them all stick together and before you separate them, it will dry up!